Since "Minecraft’s" initial creation over seven years ago, the question “Will "Minecraft" ever be finished?” has been asked by many fans and players. Arguably, you could say “No. Mojang will never openly, willingly end the game”, but is that statement necessarily true? As "Minecraft" nears the “Ten Year Club” very soon, it’s hard to imagine this game lasting as long as it has. However, many people have different views on what the word “finished” represents. Some may see Mojang making an official statement saying they’ve stopped development of Minecraft or have started a sequel to the game (spin-offs like "Minecraft: Story Mode" do not count) as the ending to the core game. In this case, "Minecraft", from the perspective as a standalone-title (and not a franchise) would end. From that point, whether or not Mojang decided to make a "Minecraft 2" or something of the sorts, the core game would be definitively over, finished, and called a final product. Whether or not players still enjoyed the game and kept it alive through mods, Mojang’s official ending would be the deciding factor in the longevity of the massive indie game we grew to love. "Minecraft" does have an “ending”. Whether or not you perceive the green and blue text having a conversation regarding your achievements as an “ending” is up to you, the player. Arguably, many consider everything after the Ender Dragon battle to be “post-game.” In a world controlled by the player, with no physical, set, or dictated storyline, what really is “post-game”? Usually, “post-game” is considered to be the aftermath of your accomplishments in a game after completing the necessary requirements. While that makes sense for most games, "Minecraft" is not like most mainstream video games. With no storyline, no characters, and no set objective, what many consider to be “credits” may just be the closest thing we get to a cutscene in "Minecraft." Depending on how your game is played, you may beat the Ender Dragon first, and then experience the rest of your "Minecraft" play-through afterward. Whether or not you accept the blue and green dialogue as an “ending” may or may not dictate your opinion on the outcome of the Mojang title. If "Minecraft", in your eyes, is deemed as a traditional game with a traditional path and setting, you may feel as if the game is finished from the moment you complete your predetermined objective, aka, slaying the Ender Dragon and seeing the “credits” roll. From that point, all future updates could be considered, in the eyes of the specific person that sees "Minecraft" as a traditional title, something along the lines of DLC and optional gameplay. 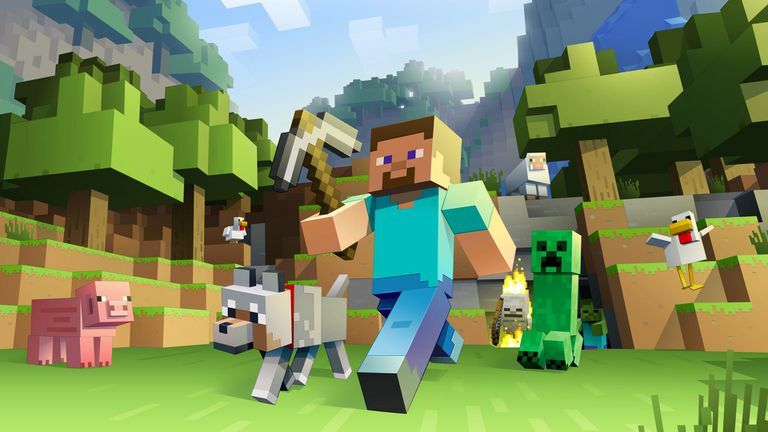 "Minecraft" paved the way for buying games while in development. This concept, at the time, was entirely unheard of. People were putting their trust, time, and money into a game with questionable potential and outcome. To this day, 25,000,000 people have put their faith into buying "Minecraft" (and that number is only for the PC/Java version of the game). It would seem that the expectations could arguably be seen as met from the perspective of the buyer. With Microsoft’s acquisition of Mojang, "Minecraft," and all other related titles, we can speculate that as long as Microsoft is involved, the game will be around as long as it is a popular, profiting franchise. As previously mentioned, with 25,000,000 copies sold on the computer alone (not including consoles, phones, and any other versions), for spending $2.5 Billion on essentially one game, Microsoft would do everything in their ability to make sure they make their money back (which they more than likely already have). "Minecraft" could easily last for as long as players enjoy it. If the studio feels that their time invested in the same title for future years upon years is noteworthy, important, and worth continuing development, then "Minecraft's" success could become a part of future generations in very positive ways. No franchise has ever changed the gaming world as "Minecraft" has. Being able to uphold the creativity of players all around the world in ways that were once unimaginable is a feat that is not relatable to many. "Minecraft’s" success is a shared success amongst each and everyone one of its players, communities, and creators. "Minecraft's" downfall could be the shared decline amongst those same individuals, however. Whether or not "Minecraft" remains the video game juggernaut that it is and has been since its initial release is entirely up to the community that plays and shares their experiences with other various players, creators, and individuals. If "Minecraft" ever closes its metaphorical doors (as a title), it will remain on a very high pedestal in video game history for the many achievements it has possessed in its unexpectedly long lifespan.